 CMS Opens Medicare Transparency Proposal for Comment - ONRAD, Inc.
HealthLeadersMedia | Under a proposed rule, Medicare and private sector claims data could be used to produce public reports thatevaluate the performance of physicians, other healthcare providers, and suppliers. The Centers for Medicare & Medicaid Services is proposing to allow organizations that meet certain qualifications — including having the capacity to process the data accurately and safely — to have access, for a fee, to patient-protected Medicare claims data from Parts A, B and D. The Medicare information would be combined with private-sector claims data to identify physicians and hospitals that provide the highest quality care at the most cost-effective rates. Organizations would need to apply for access to the Medicare data. Applicants would need to demonstrate the ability to govern the access, use, and security of Medicare claims data and would be subject to strict security and privacy processes. CMS would continually monitor the process and an organization that did not follow the procedures would risk sanctions, including termination from the program. The American Hospital Association and the American Medical Association have not yet published statements about the proposed rule. But providers have been frustrated by the limited and piecemeal availability of healthcare claims data and have complained that inaccuracies are difficult, if not impossible, to correct.